Johan Ekman (Representative director and chairman of the board). Mr. Ekman started his professional career in 1981, with Erni Co. AG a Swiss manufacturer of industrial electronics. From 1986 to 1990 he worked as an industrial development and restructuring consultant at Datex, the Dutch consulting Group and at Invent Management AB in Stockholm, Sweden. From 1991 until 1996 Mr. Ekman acted as an independent business advisor and financial analyst for banks, institutions and venture funds with focus on the electronics industry. 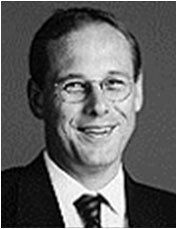 From 1997 until 2008 Mr. Ekman has served TAT Capital Partners as partner and investment manager in the venture capital company TAT Investments II. Since 2010, Mr. Ekman has acted as representative director of EL-Seed Corp.
Mr. Ekman holds a Masters Degree in Engineering Physics awarded by Chalmers University of Technology in Gothenburg, Sweden, a Masters Degree in Electrical Engineering of the Swiss Federal Institute of Technology in Zurich and is a graduate in Business Administration of IBO in Zeist, the Netherlands. Mr. Ekman is a Swedish national and speaks beside Swedish, English, German and Dutch. He serves among others on the board of directors of the EL-Seed Corp., the AppliedSensor group, White Dwarf Technology AB and TransAtlantic Technology AB.